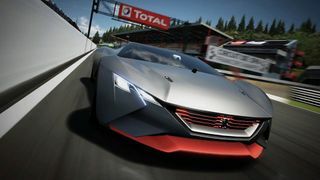 In celebration of the 15th anniversary of Gran Turismo, Peugeot joins the list of leading brands that have been elected to design an original sports car for Gran Turismo 6. 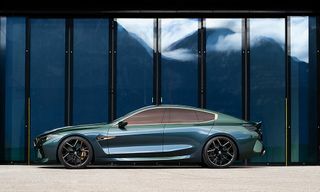 Drawing inspiration from select high performance racing automobiles, Peugeot’s GT6 entry, much like the others, boasts a noticeably aerodynamic design. Featuring an impressive V6 turbo 3.2L engine, this particular Vision Gran Turismo packs a punch of 875 horsepower for the six-speed manual transmission vehicle. The lightweight racer then notes staggered 22-inch and 23-inch wheels. 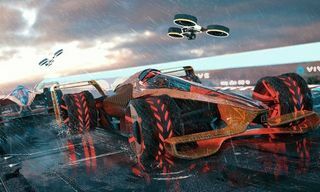 Awarding with an insane jump of 0 to 100 kph in 1.73 seconds, you will be able to experience the speed of Peugeot’s Vision Gran Turismo when the new update hits GT6 in the near future.